There are many historic places in Philadelphia but we didn't take a whole lot of pictures. This happened to be of interest to us. It is the location of the first meeting to establish the separation from England. The meeting was held in secret (sort of) because the participants could have been hanged for treason if discovered. This session lasted for six weeks and at the end a declaration was written to be sent to King George (one of them) demanding relief from the heavy burden of taxation. And of course the Liberty Bell. It was not named as such in the beginning but came to be known by this name. The first known usage of the name was by the anti-slavery movement. It was subsequently adopted by the suffrage movement. 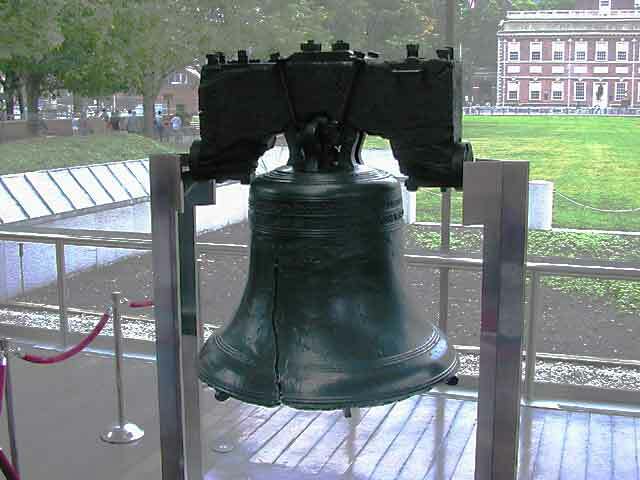 Now there is nobody left who remembers when it was not called the Liberty Bell. 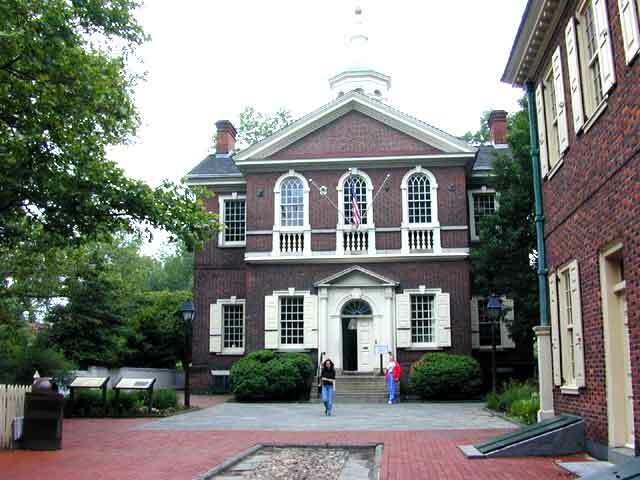 Independence Hall is seen in the background. The day before these pictures were taken we went to the Franklin Museum and the Rodin Museum. It was pouring down rain and we needed to be inside. Then after we saw the Bell we took a trolley ride around old town ending up at the Maritime Museum. Then we wandered through a submarine. That is really tight quarters! And then - surprise - the rain started up again and so we went home grateful to have seen the sun even if it was just a few hours.